Our classical look suits all styles of decor including that of the contemporary home. 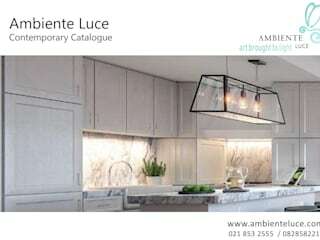 Ambiente Luce’s most popular international and local range is that of the Kitchen lights which which we aptly call "LA CUCINA". 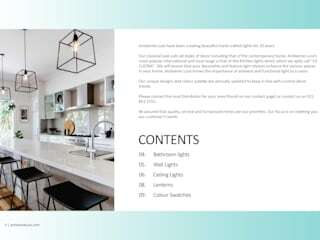 We will ensure that your decorative and feature light choices enhance the various spaces in your home. 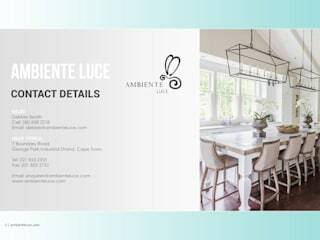 Ambiente Luce knows the importance of ambient and functional light to a room.